Loki Gen 6 is our latest product, introduced in March 2015. 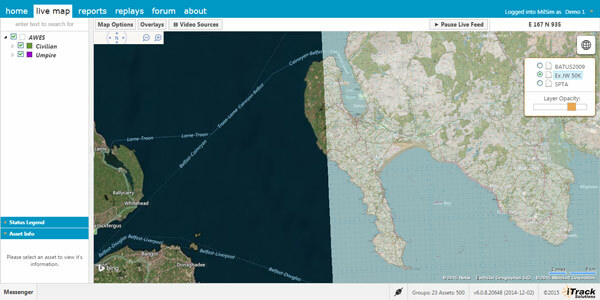 Mapping is provided by Bing, via the internet and the wireless networks. 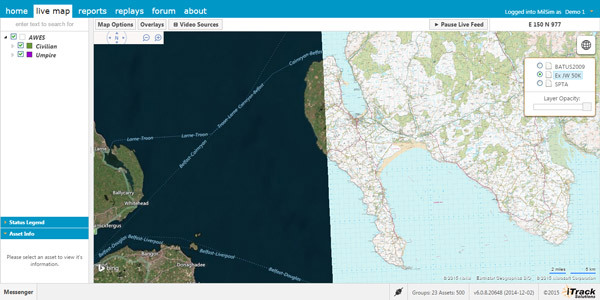 Custom mapping can also be used, including support for ESRI ArcGIS REST services and SHAPE files. Loki Gen 6 is available as a hosted service, from a server at the iTrack office. It is also available as enterprise software, installed on the customer’s premises. 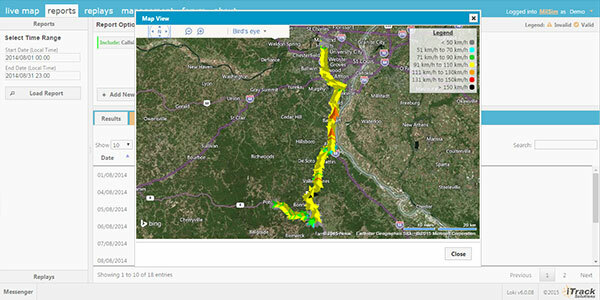 Web based mapping offers greater resolution, up to date imagery, and world-wide mapping. Loki Gen 6 supports multiple map layers, including custom layers. Loki Messenger provides users with real-time text and peer-to-peer video chat functionality, and we also offer an integrated discussion board. With our experience as a systems integration company, we are able to implement a seemingly unlimited number of additional features as needed. Utilizing cloud-based software allows us to push application updates and introduce new features without downtime or any effort on your behalf. 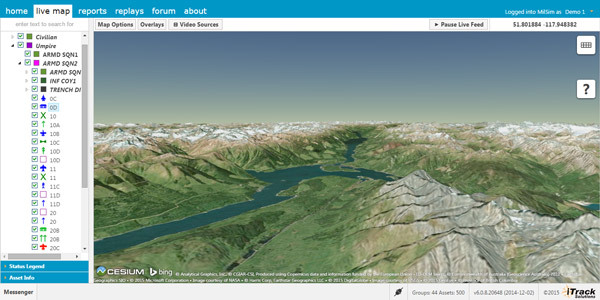 View your assets mapped onto high resolution terrain models with Cesium 3D. 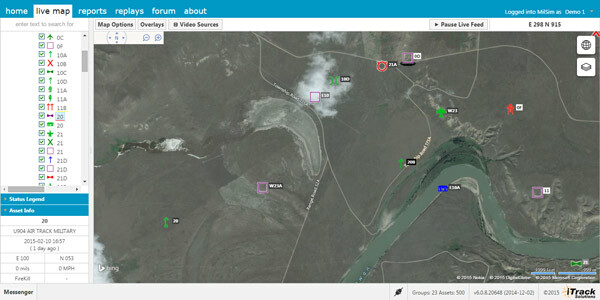 Overlay your own custom map layers, adjust opacity of map layers for new insight and improved situational awareness. 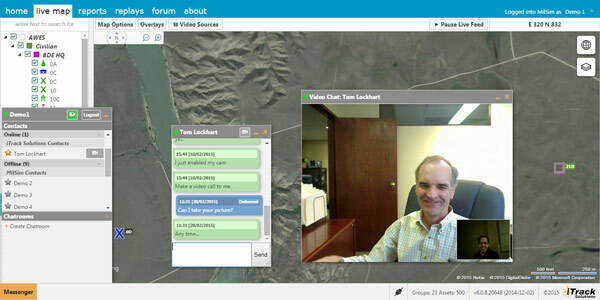 Included with Loki Gen 6 is a integrated text and video chat client built on XMPP and WebRTC. We also provide an optional integrated discussion board. 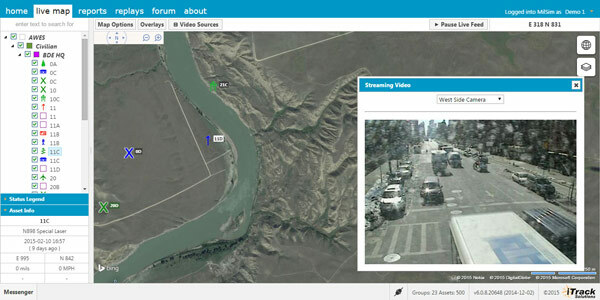 View live video streams directly from within the live map page. Manage your tracked assets and users directly from the built-in administrative console. Grant permissions and assign roles to other users, integrate directly with your Active Directory. Quickly assign trackers to assets, add new tracking devices to the system and manage existing devices. 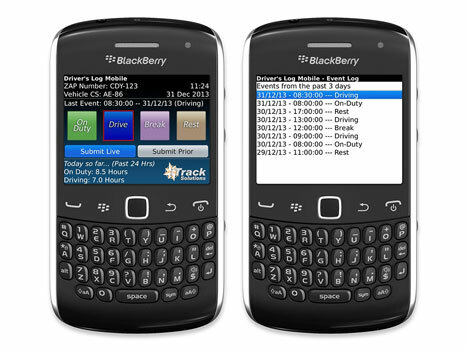 Loki Gen 6 supports GPS tracking devices from a variety of vendors, includes support for Android and BlackBerry devices. 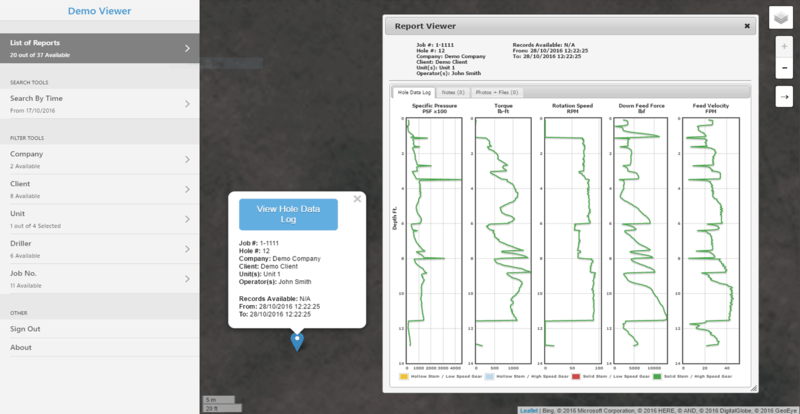 Click to view supported trackers. Create customized reports using our dynamic report builder; reports can be viewed using a variety of view modes. Playback archived data using our interactive replay generator, replays are stored on the server and can be shared with other users. 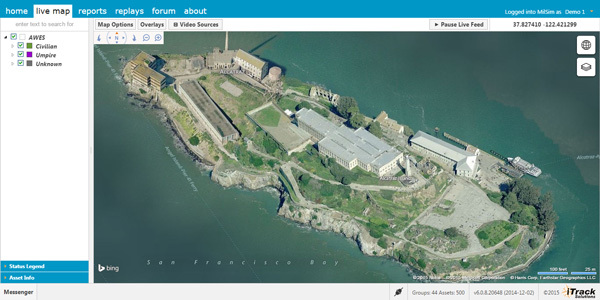 Archived data is interpolated and played back using Cesium 3D. Start tracking your assets with a free demo! 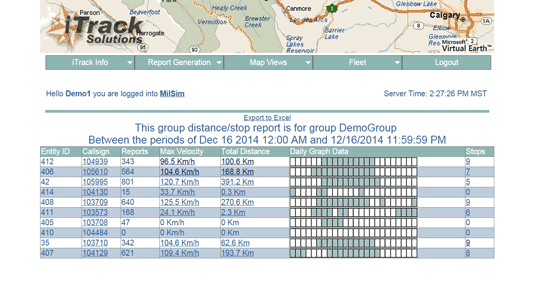 Go beyond GPS tracking by including business critical data collection as part of your custom solution. 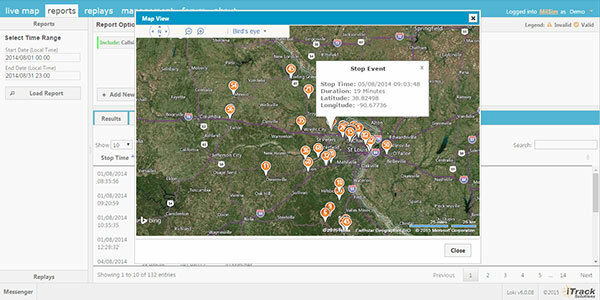 Create unique views of your data, gain new insight and add more value to your product. Utilize existing features in your equipment to simplify daily operations and increase efficiency. CAN Bus enabled systems are common in multiple industries, we can offer a real-time view to the data available on these networks. Start planning your custom solution today! Update: Loki Tracker for Android now supports live video streaming! This has all of the features of the original Loki BB Tracker, plus it functions as a personal navigator with a map display and a compass. 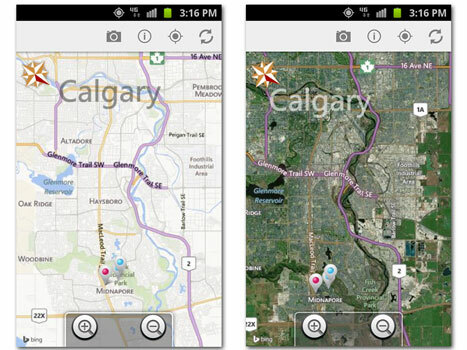 The map can also be a photo layer. 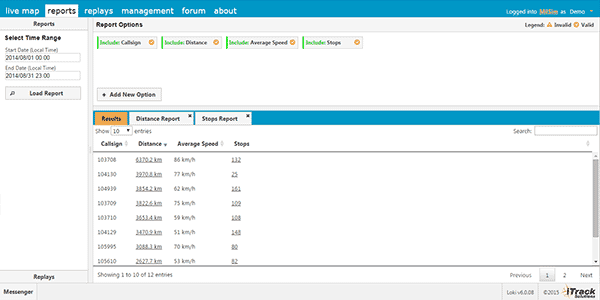 It also shows the location of any “friendly forces”, or other tracked entities within your user group. 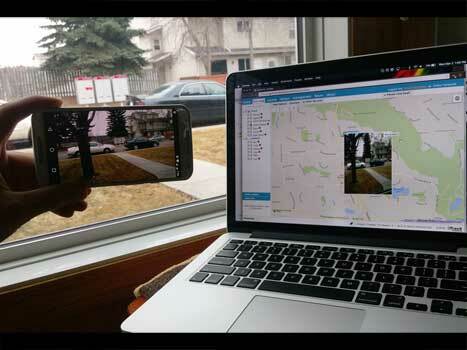 The augmented reality feature shows the locations of nearby trackers using the camera and compass features of the smart phone. New for 2016, this app is suitable for tracking for work, or for personal travel, all records remain stored on your phone with no 3rd party access. Send others a copy of your location log via email or SMS, view your location history on a map, and share individual records. 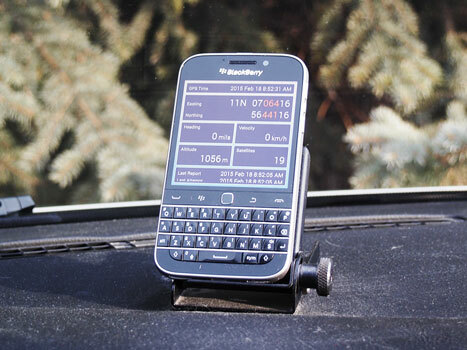 This mobile tracking product offers users a low-cost tracking solution which can repurpose legacy BlackBerry devices into tracking units. This solution is ideal for tracking people or temporary assets. 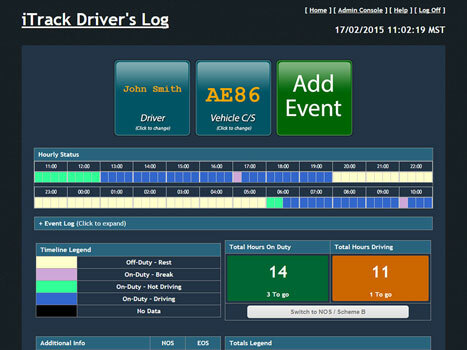 This is a status and time-tracking product; it is used by drivers operating under EEC regulations. Users submit status changes and view recorded times from either the mobile application or online using a web browser. Administrators are able to review and edit all submitted information, as well as view daily totals for one or more drivers. 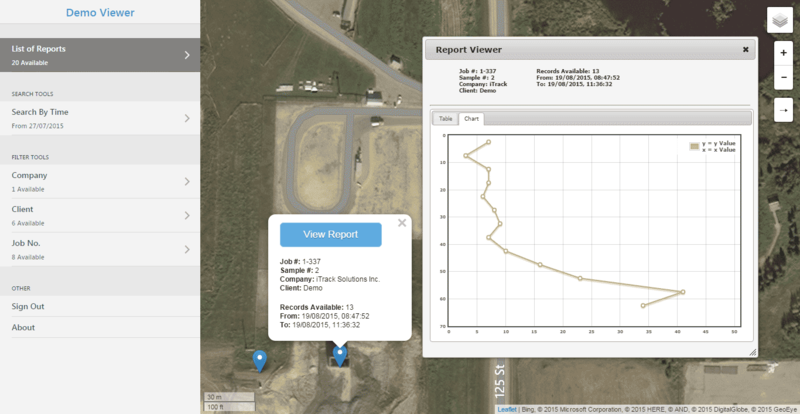 Utilizing locally installed mapping (MapPoint, MapX), Loki Gen 5 offers reduced bandwidth usage when viewing maps on wireless networks. 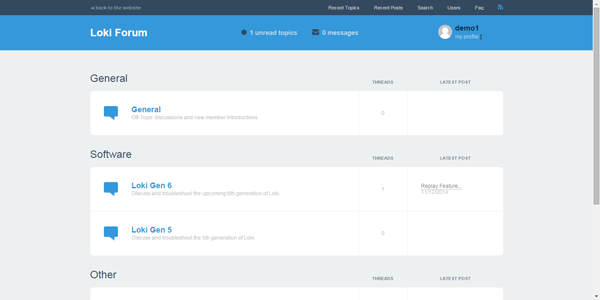 Loki Gen 5 offers an integrated mail delivery system accessible from Loki Client. Like Loki Gen 6, this software is capable of integrating directly into your existing Active Directory. 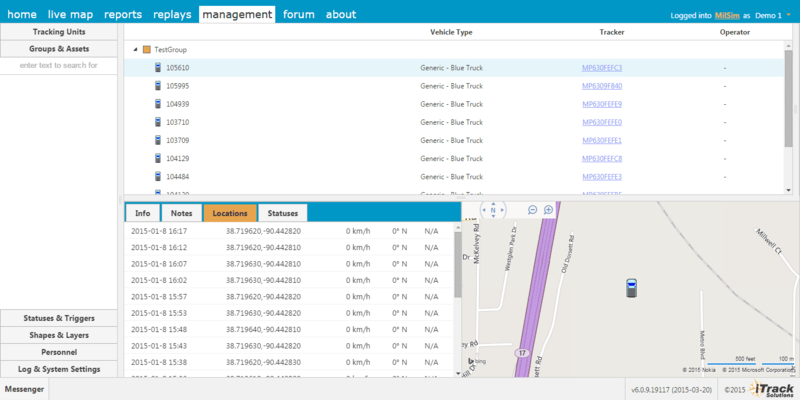 Web reports is an online tool used for viewing archived data and fleet management. What type of custom software development is available? While iTrack specializes in asset tracking software, we often provide solutions which extend outside the scope of asset tracking. Please contact us for more information! What are the different deployment options available? The server components will be hosted from our office in Calgary, AB, Canada. All company data is kept confidential, we recommend this solution for small-businesses. The server components will be installed on-site to your premises, we recommend this solution for large businesses with pre-existing infrastructure. How many concurrent users does your software support? Loki software has no specific limitation on concurrent connections, we are only limited by the available bandwidth and server infrastructure. Where are the custom maps stored? 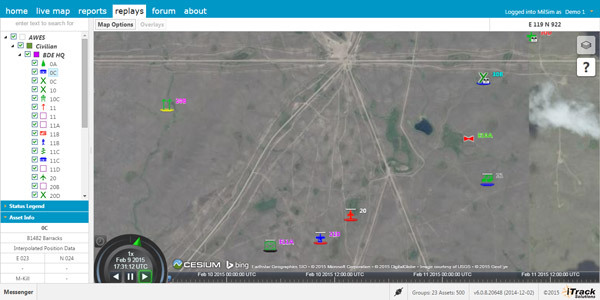 Custom maps can either be provided from a online mapping service, or hosted privately on the Loki Gen 6 server. Custom maps will be installed locally onto the same PC as the Loki Client software. Is Loki Gen 5 still available for purchase? Although Loki Gen 6 is our current product, we still offer the option to purchase Loki Gen 5 as it may provide advantages under certain use cases. Can I provide my own tracking hardware? If you have hardware capable of sending TAIP or NMEA messages, it is more than likely that we will be able to support your device. Please contact us for more information! 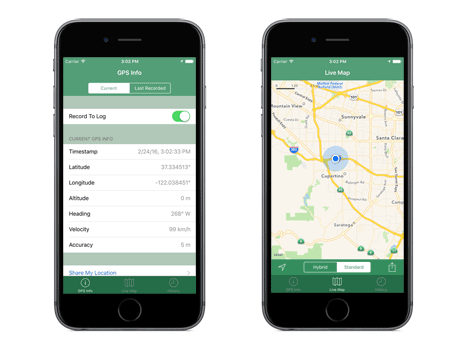 A GPS tracker is a GPS receiver connected to a mobile data transceiver. Early examples consisted of a GPS receiver, interfaced to a modem which was connected to a VHF radio. Today, they are nearly all self contained units, working through the 3G/4G cell networks. Some examples, designed for operation in very remote regions, operate through satellite communications networks. The main consideration is the operating area. This determines the communications network choice. 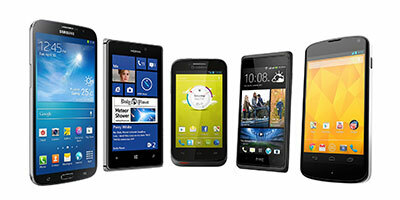 In the case of the cell networks, which carrier has the coverage and service in the operating area. The next consideration is what is being tracked? It may be an individual, it may be a vehicle, or it may be some other type of mobile asset. This determines the form factor of the GPS tracker. Another consideration is what other data communication requirements does the unit have to address? Laptop connectivity is a common requirement. Status reporting of other vehicle systems is another one. This determines what features are required. Finally, what are the operating conditions? This determines the how “industrial” the product has to be. 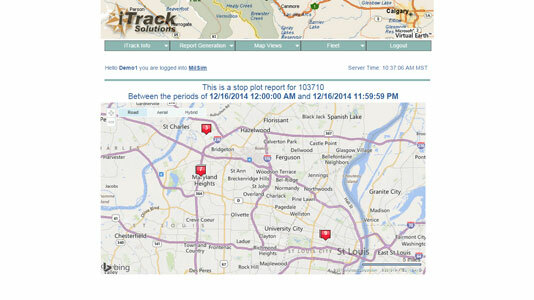 ITrack has a considerable amount of experience with a variety of different GPS tracker products. Contact us directly for advice. 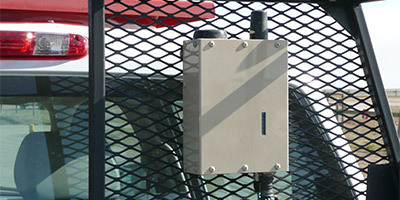 The tracker unit consists of a cellular modem with a built-in GPS receiver. They can be programmed to report their GPS positions at time and distance based intervals. They can function as standalone GPS trackers, but they are more commonly used to connect laptop computers to the internet or corporate intranet. These units are typically provided with Ethernet, USB, and serial connectors. Most have input/output ports for reporting on/off events from the vehicle. Some units are Bluetooth enabled. Some also have WiFi capability, in which case they function as wireless routers supporting any nearby WiFi equipped laptops. With 3G, 4G, and LTE cell networks, this is a very useful feature. These devices function as trackers if they are GPS equipped, as most of them are. We provide software which captures the GPS position and sends it to the tracking server via the cell network and the internet. The GPS reporting intervals are a user setting. They remain fully functional in every respect. These tracker types work well if they are permanently assigned to an individual, who also uses them for their designed purpose (they will be with the individual, they will be turned on, and they will be charged). 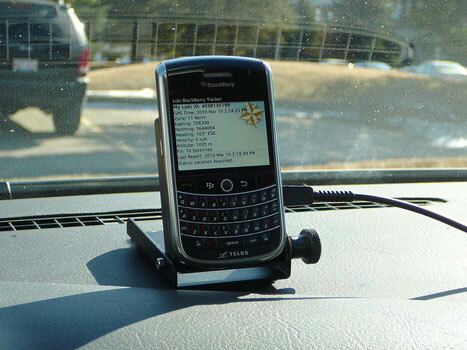 There are several ways to link a smart phone to a vehicle. Many laptops have built-in 3G/4G modules. Many also have built-in GPS. 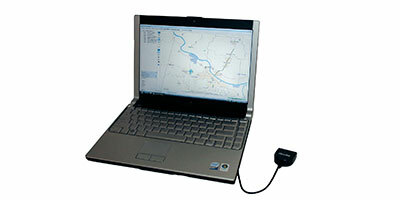 All current laptops have USB ports which can connect to and power an external GPS. We provide Loki Laptop Tracker software. 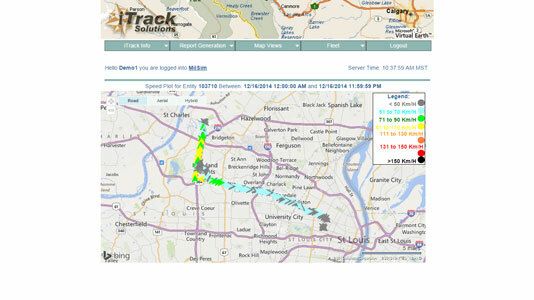 The software captures the GPS position and sends it to the tracking server via the cell network and the internet. 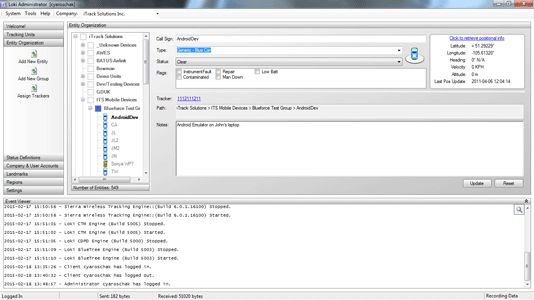 Functionally, it is similar to the phone tracker software described above. 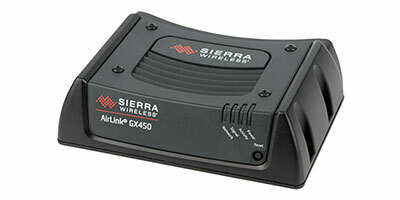 This is an attractive option because it eliminates the need for a GPS modem, with a significant cost saving. These trackers are GPS modems which are mounted internally in metal cases. The GPS and cell antennas are mounted externally on the cases. Power and data ports are industrial design. The tracker units are sealed against water and dust. They are provided with mounting hardware which is specific to the vehicle type. Once an installation “design” has been finalized, these units can be installed and removed in minutes. Hardened trackers are ideal for short term tracking requirements where the need for performance and reliability is also high. 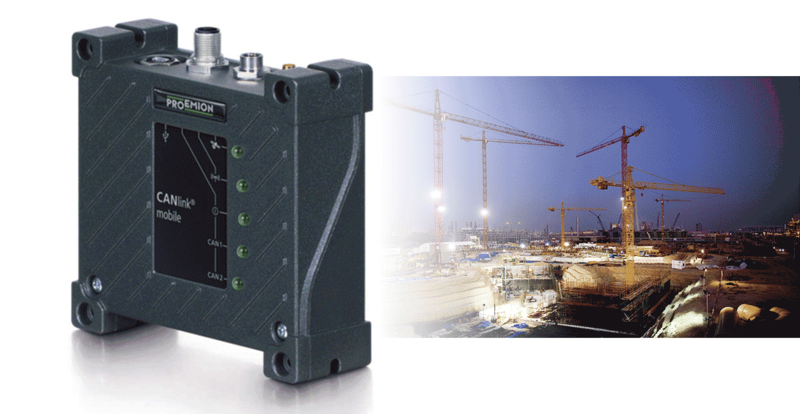 PLB devices provide tracking via satellite networks where cellular coverage is inadequate. Many work alone safety programs require the use of PLB devices for situations where reliable tracking is needed. 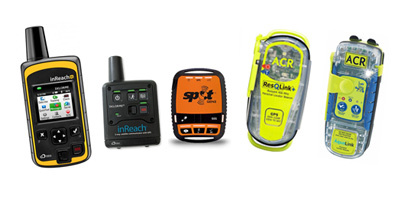 These devices provide added safety features such as: SOS emergency button, location check-in capability, custom response messages and more. © 2019 Integrated Tracking Solutions Inc. All rights reserved.